I love steaks and being invited into one of the finest steakhouse in the country is quite overwhelming. 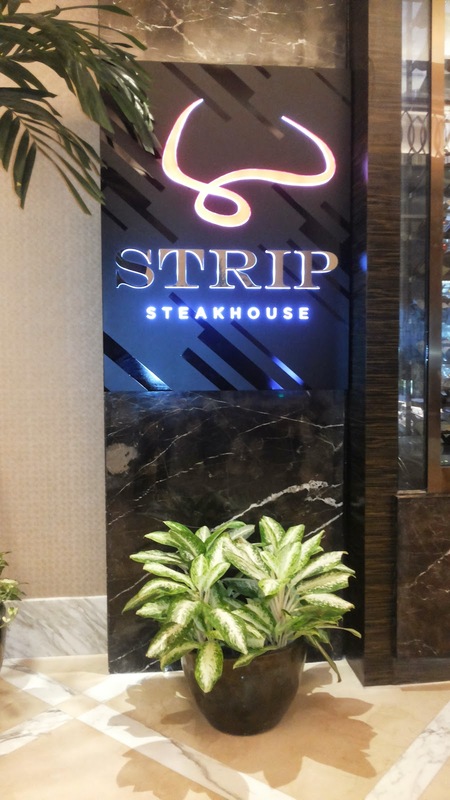 Strip Steakhouse is one of Solaire Resort and Casino’s popular signature restaurant in the area. 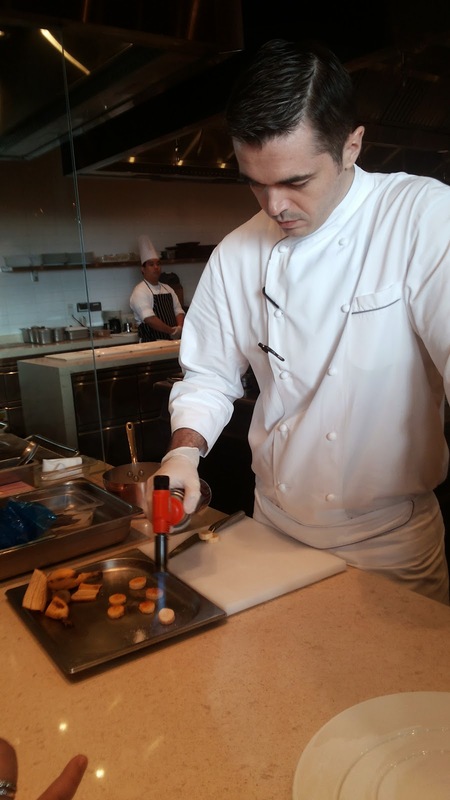 It promises to serve only the finest so with expectation held high, we met Strip’s resident chef, Eric Turgeon for a taste of his sweet creations. Steak can be so filling, so it was only understandable to have a light yet tasty dessert selection to finish a savory meal. 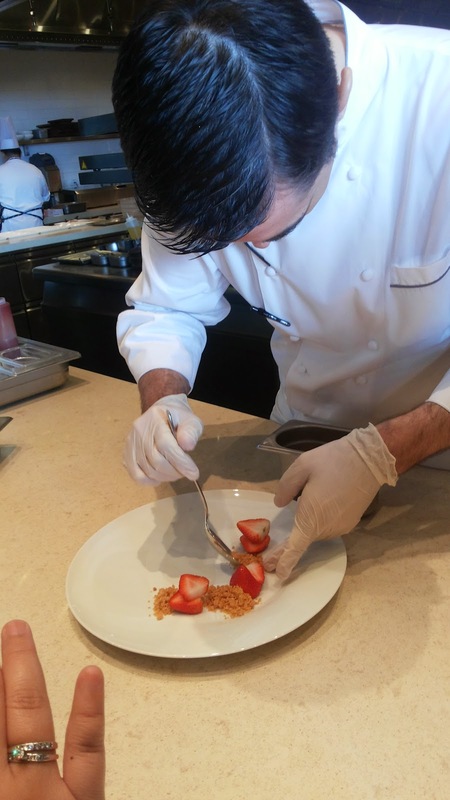 Chef Eric’s Strawberries and Cream and Dark Chocolate Mousse may sound like your regular cake servings, but wait until you get served. 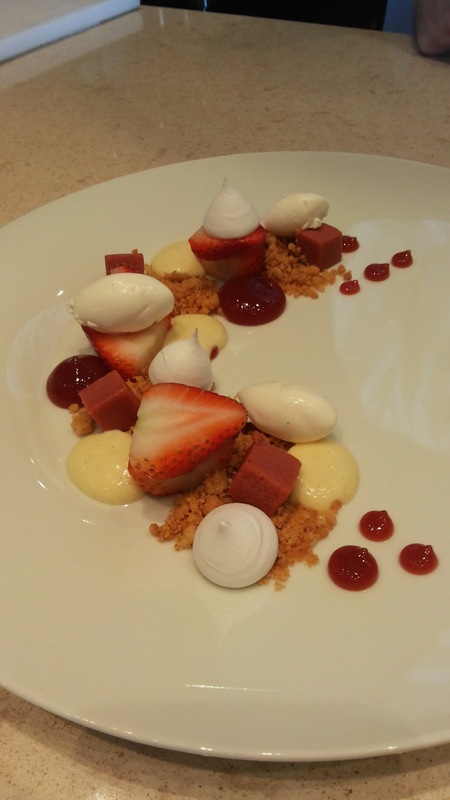 His Strawberries and Cream comes plated artfully in a crescent shape is a collection of fresh strawberries, short bread crumble, dry meringue and a dash of creamy Chantilly. 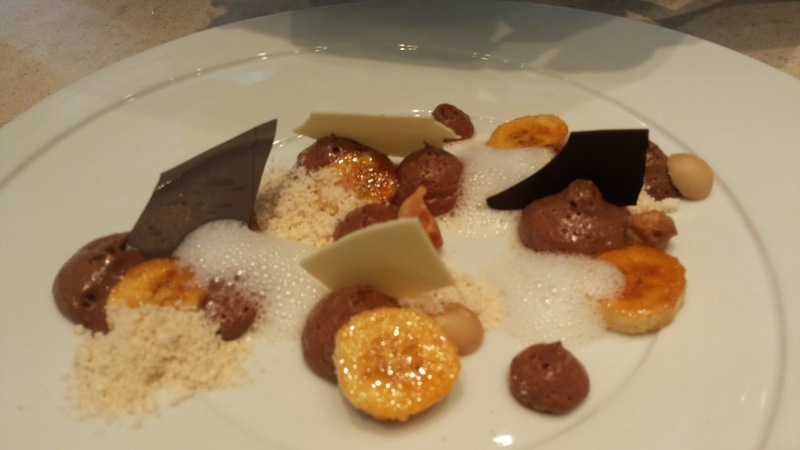 On the other hand, the Dark Chocolate Mouse came in a mix of light and airy chocolate mousse, torched banana, caramel sand and roasted macadamia nuts. 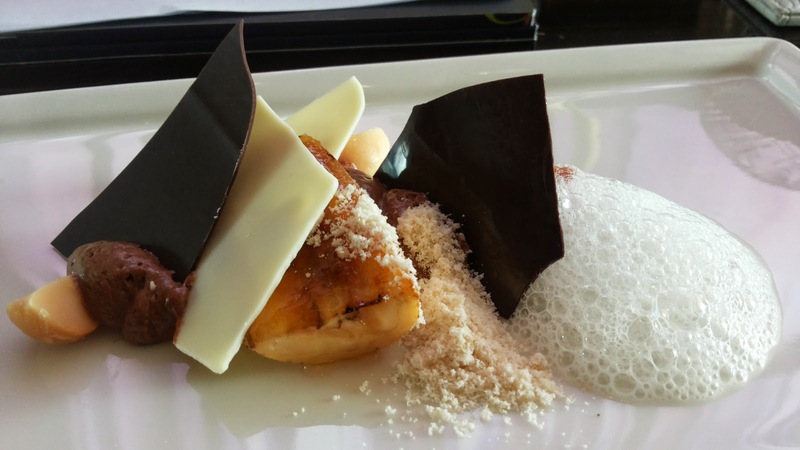 I love caramel and being able to experience such special ingredients such as the caramel sand with light chocolate mousse and that macadamia foam was truly heavenly! Who could ever imagine that simply named-desserts can be served in such opulence and impressive quality?! 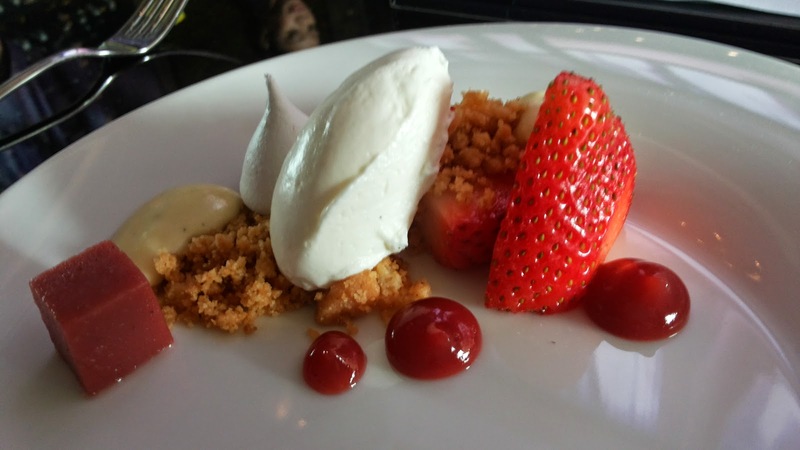 Strip’s simple but unique desserts is a must try!